Mayo is a small village in central Yukon Territory. 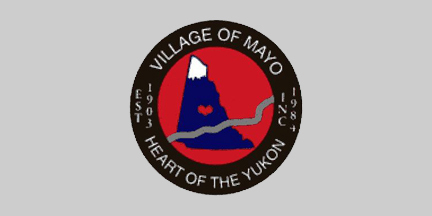 Flag Inquiry Response: In reply to your email dated October 4, 2011, here is the Village of Mayo logo which is on our municipal flag. The logo is on silver grey background.